I awoke last Wednesday to find that I was very much in the mood to follow the first talking animal that crossed my path. Luckily, I have a flexible work schedule and my fiancé had the day off, so we had a quick look at Google maps and our pin landed on the Rollright Stones a megalithic stone circle on the border of Oxfordshire, near the village of Long Compton. Why not! 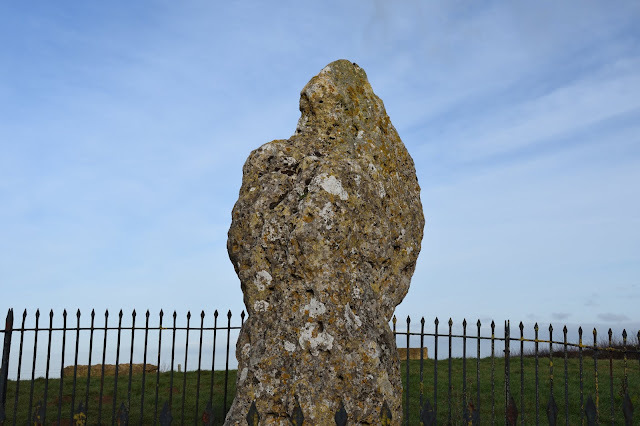 The stones are located on the side of an unclassified road and driving there seemed like the least amount of hassle. This suited us just fine, as we'd been meaning to visit Oxford for a while now. Parking space was very limited, so not ideal if you feel like a longer walk. As for the price, witnessing these beautiful monuments will cost one person a mere pound coin which you drop in a trust box at the (occasionally) unguarded entrance. This, I am convinced, is the local fairies' way of weeding out any sneaky, ungrateful souls to later devour. Follow the short path through some trees and once you emerge you will spot The King's Men stones to your right. They are a ceremonial stone circle which was erected around 2,500 BC... or are they? 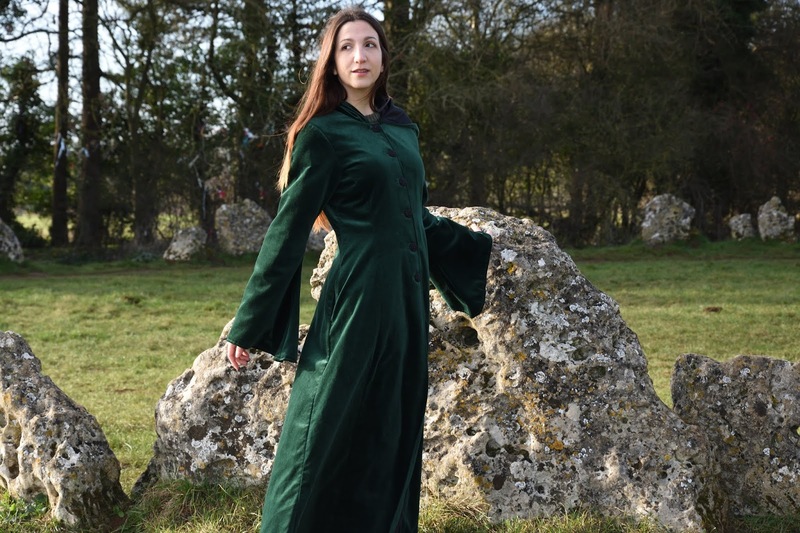 According to legend, they were once a monarch's army, before a witch turned them into stone. But I will save the best tale for last. They are said to have numbered 105 originally and are currently at 70-something, on account of being shifted around (or just plain restless?). Even today, they are infamously uncountable - if you can count the stones 3 times and get the same number each time, you may have any wish you like! 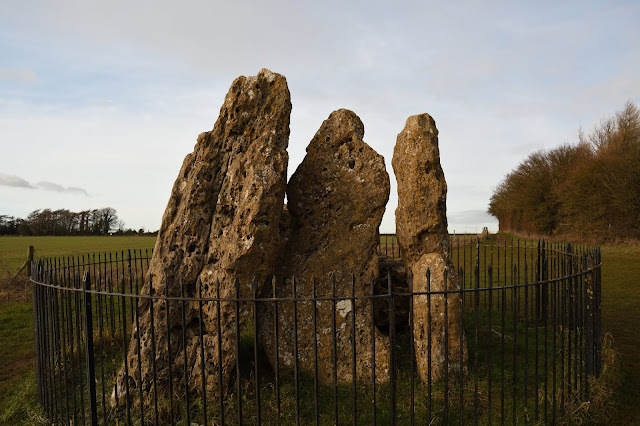 It is also said that the tallest of the stones was taken once to build a bridge over a stream - it took 24 horses to drag it down the hill and 2 men were killed on the way. Yet, after it kept flipping over and the crops failed, it only took two horses to pull it back up the hill. 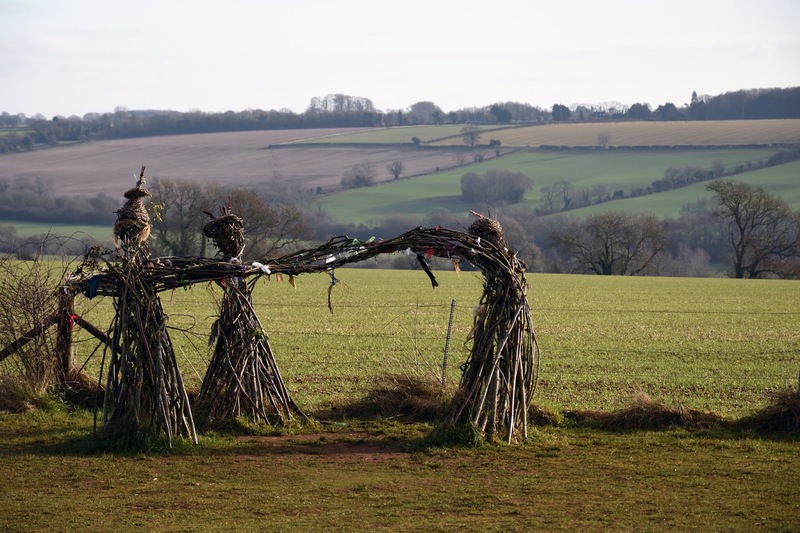 We were also lucky enough to spot the temporary sculpture called "The Three Fairies" by David and Adam Gosling. 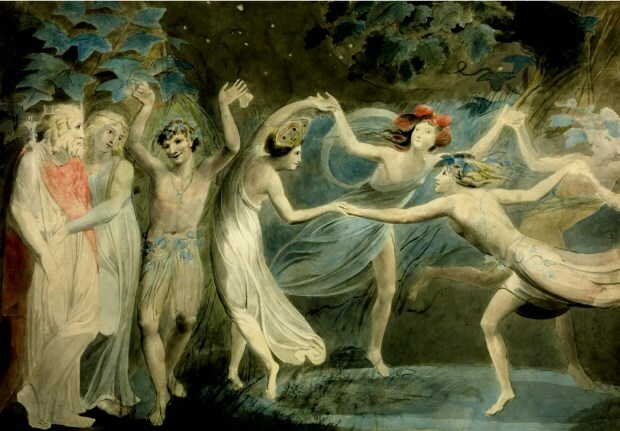 The work was inspired by William Blake's painting of Oberon, Titania and Puck with Fairies Dancing and it followed from a sculpture of the Rollright Witch herself. The three fairies are woven out of hazel, willow, ivy and lime and will carry on their dance until they get too exhausted. 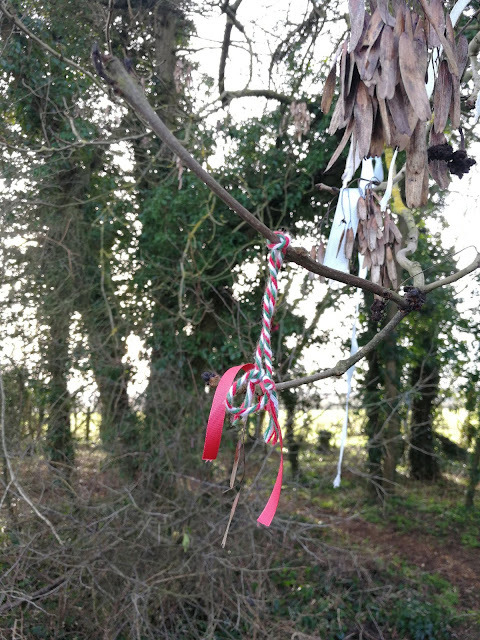 The colourfully adorned tree right next to the stones is sure to catch your eye, for its branches are all but weighed down with ribbons, love charms and offerings alike. 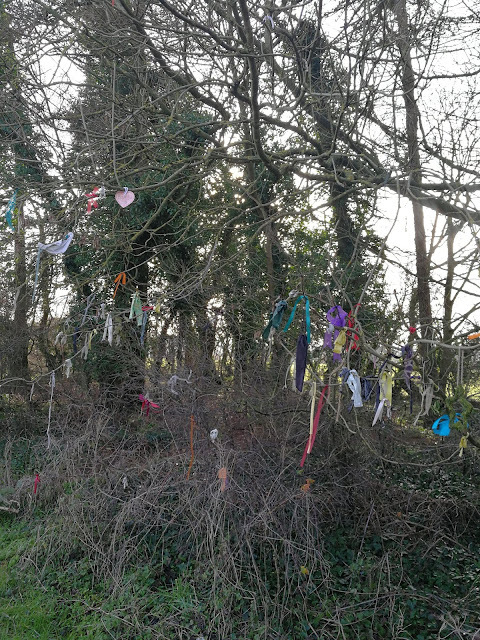 I was so happy to spot a martenitsa amongst these - a little token from my own home (if you don't know what those are, click here). In case you are wondering, it is always polite to leave an offering in places like these and if you take anything, be it a branch or a pebble (or the beautiful hag stone I found along the pathway), make sure that you leave something in return (I chose to leave a coin). 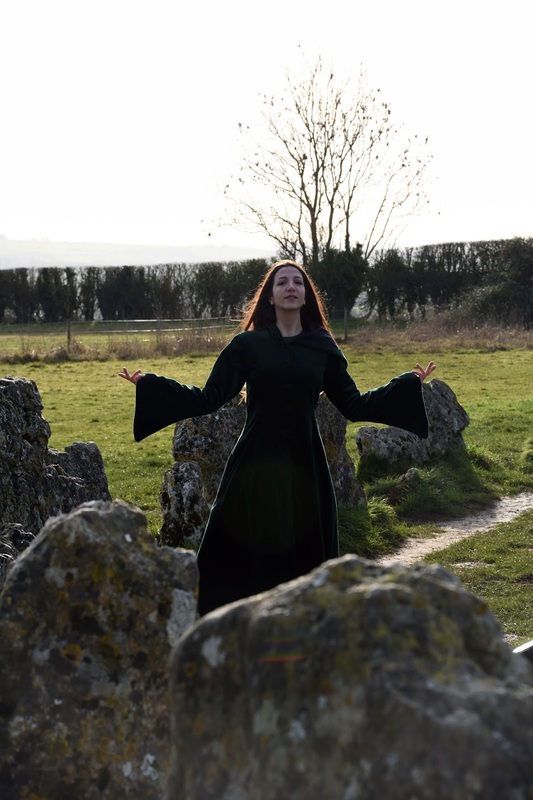 If you carry on down the path east of the stone circle, you will eventually come to a burial chamber which predates them by about 1000 years. 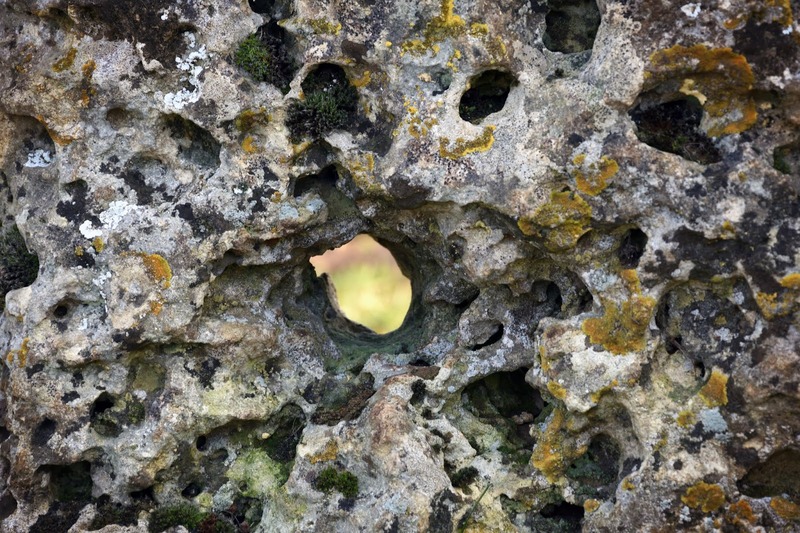 It is known as "The Whispering Knights" and was built in such a way that the stones form a "portal" facade. Remnants from the Early Neolithic, Beaker and early Bronze Age hint that the tomb was likely venerated over many centuries. 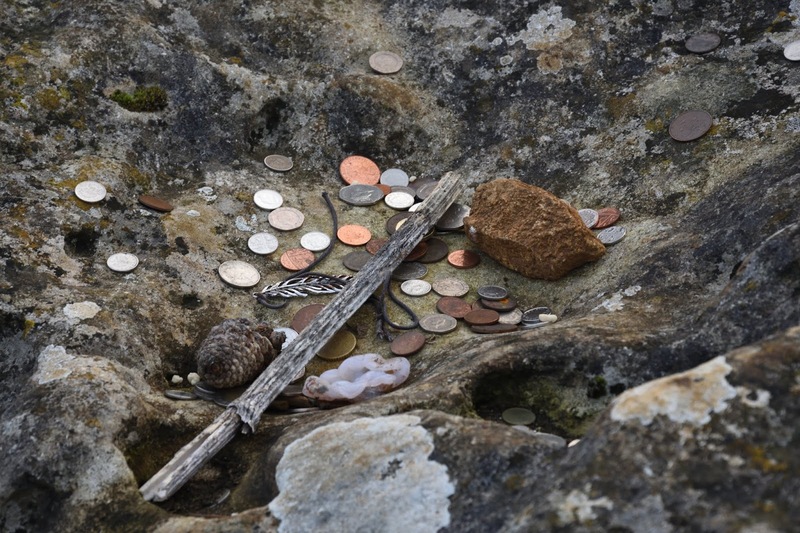 Even today, you can still see offerings being left on the shortest of these stones. One legend states that these stones go down to the brook in the valley to drink on New Year's Day or when the bells of Long Compton are heard. More famously, however, it is said that these were treacherous knights who, as the witch's curse was cast, were forever captured in their moment of plotting against the king. Back down the path we go, and across the quiet road to finally reach the King Stone. It was likely erected around 1500 BC as a permanent memorial to the burial ground. Its rather unusual shape is likely due to 19th century tourists' craze over chipping away bits of the stones. I encourage you to google a few more images for yourselves, as this one does not do its form justice. 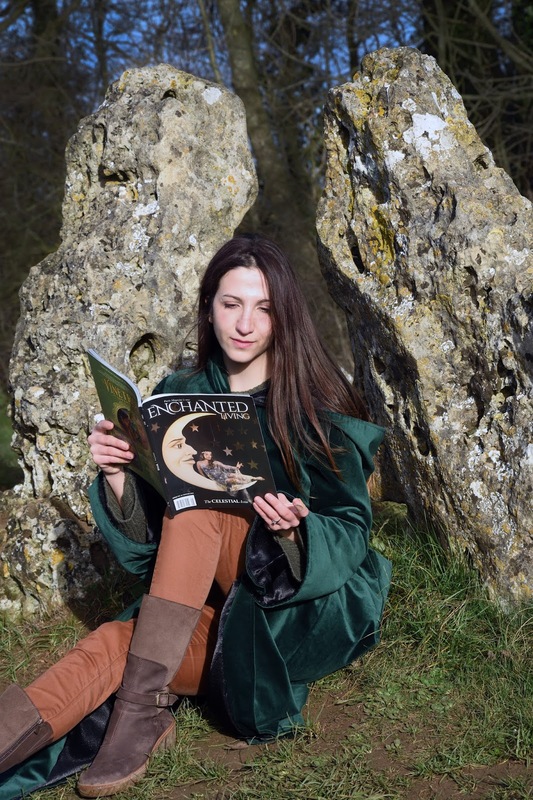 Why she tricked the king, it is not known (as is the way with many a frightening tale of witchcraft). Some say that she conspired with the whispering knights who'd lagged behind the king's party, and that one of the elder trees in the area may just be her, overlooking her work. Thus ends our tale of adventure too. And if you so happen to be in the area, do stop by and pay these monuments a visit. Thank you for reading, and I hope to see you again soon! It's crazy to think that we have places like this in England, and I'm kind of kicking myself for not exploring these areas when I was getting into Wicca. Even though I'm not into that anymore, I still have an interest in folklore, so this is really cool! Thanks for the tip about if you take something you have to give something in return... I'll keep that in mind when I next see something like this! You do have quite a few interesting landmarks! Look into the Avebury Stone Circle as well, we went to see it nigh on three years ago and I loved it! And no worries - fairies are quick to anger and harder to soothe, hehe. Thank you so much, lovely! It is sound advice to keep in mind in places like this, hehe. And it truly is - I was thrilled to see that it still stood when we got there!